The Secretary-General of the Commonwealth Local Government Forum (CLGF), Carl Wright, has called for urgent and smart use of technology to help address the ever-growing global urbanisation challenge, reports ITRealms. 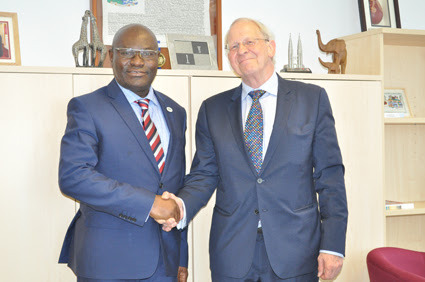 In a lecture he delivered on smart cities at the Commonwealth Telecommunications Organisation (CTO) in London at the weekend, Mr. Wright noted though the trend towards decentralised government in Commonwealth countries continues, urban centres also continue to grow, with greater need for efficiency in areas such as energy, public transport and other services, and smart city solutions through better use of technology will be essential to making our cities more efficient. The lecture was part of the CTO's new monthly lecture series initiated by host Secretary-General Shola Taylor earlier this year. Also speaking, Mr. Taylor said, the CLGF provides unique support to local government authorities and communities among member countries, stressing "They have a unique understanding of the growing social and demographic urban challenge as more rural and semi-urban populations continue to migrate to larger urban centres. Through e-government and other technology-centric solutions, ICTs provide us with opportunities to manage this change more effectively,” said Mr Taylor. Pic: From the left: Secretaries General Shola Taylor and Carl Wright shortly before the lecture on the smart cities challenge, last weekend in London.